This workshop is intended for senior leaders and change agents who are actively transforming their organization to learn about the key pillars needed for successful business agility transformations. You will walk away with concrete solutions and participate in activities tailored to your specific transformation challenges. Transformation leaders will learn how to enable enterprise level business agility transformations including business areas and beyond the technology groups. 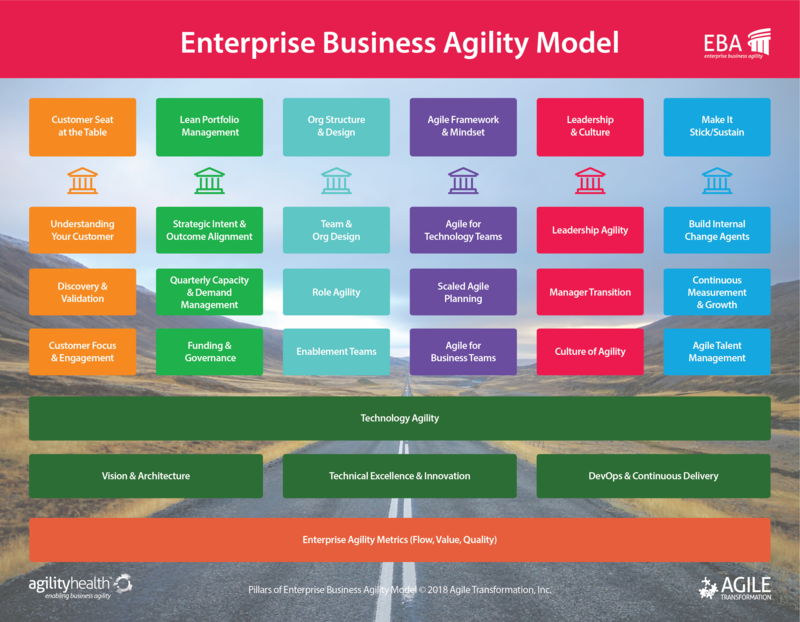 We will spend time exploring each of the seven pillars within the Enterprise Business Agility Model in detail, developing the skills necessary to lead a transformation within each pillar.